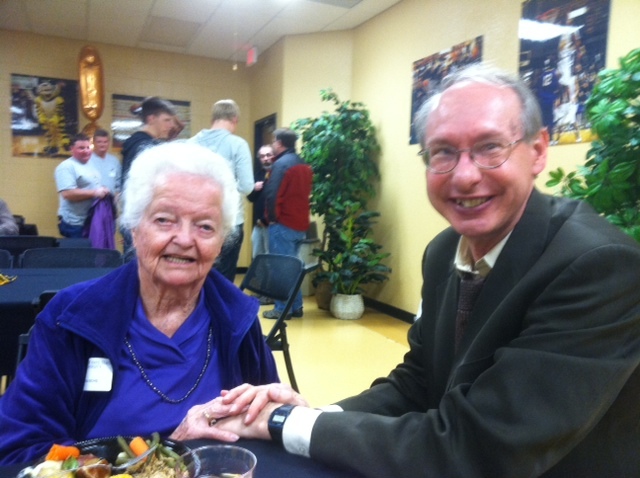 In honor of Nola Ochs’ 100th birthday, a reception was held before the Fort Hays State University basketball game on 11/15/11. Nola Ochs is a current History M.A. student at the University. She received her master’s degree in liberal studies with a concentration in History in May of 2010. Nola was also a Graduate Teaching Assistant for the Department last Spring. Are you unsure of what to do with a degree in history?